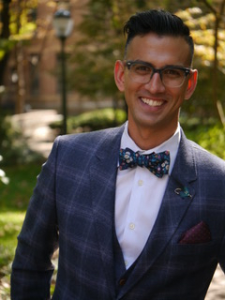 Christopher Ali’s research interests focus on communication policy and regulation, critical political economy, critical geography, comparative media systems, localism, and local news. Ali has published in numerous journals, including Communication Theory, Media Culture & Society, and International Journal of Communication. His forthcoming book, Media Localism: The Policies of Place (University of Illinois Press, 2017), addresses the difficulties of defining and regulating local media in the 21st century in the United States, United Kingdom, and Canada and the implications these difficulties have for the long-term viability of local news. Ali has worked for the Federal Communications Commission, submitted research for the Swiss Office of Communication, and consulted with the South Korean Committee on the Impact of Media Concentration. He holds a Ph.D. from Annenberg School for Communication at the University of Pennsylvania; an M.A. in media Studies from Concordia University, Canada; and a B.A. in film and media studies and sociology from the University of Alberta. 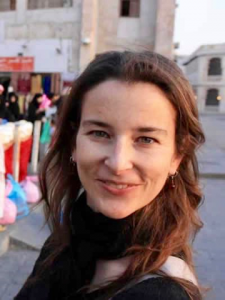 Sarah Vieweg is a social scientist whose research is at the intersection of human-computer interaction, computer-mediated communication, and computer-supported cooperative work. 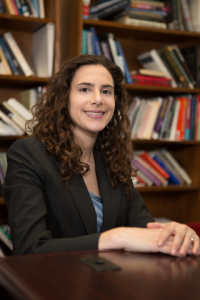 She researches how citizens of Arab Gulf countries perceive, use, and re-interpret social media, with an eye toward defining design principles that consider non-Western cultural values. She also looks at how advertisers throughout the world turn to social media for advertising and marketing, and how diverse marketplace activities translate to digital environments. Vieweg holds a BA in economics and French from the University of Illinois at Urbana/Champaign, an M.A in linguistics from the University of Colorado Boulder, and a Ph.D. in technology, media, and society from the University of Colorado, Boulder. Prior to her position at Facebook, she was a scientist at the Qatar Computing Research Institute and a project manager at Oblong Industries. What does Trump’s election mean for data journalism? Nikki Usher will discuss her new book, Interactive Journalism: Hackers, Data, and Code, and look ahead to what’s next for interactive journalism across the world. The news industry has hailed interactive journalists as its saviors and claimed them as resident authorities of quantification and digital skills the newsroom. But data isn’t as objective as we like to think. Given its significant influence on public opinion, how we present data and statistics is critical, as it can be particularly damaging when done poorly. Thinking about the promises and perils of interactive journalism has never been more important. This talk aspires to be a starting point for this conversation at the SOJC.